Emperor Akihito and his family makes their final public appearance of 2018 on December 23. Screencap from The PAGE official YouTube channel . December 31, 2018, marked the end of an era in Japan as the country celebrated the final New Year's Eve of Emperor Akihito's reign. The Japanese emperor had announced in 2016 that he would abdicate the throne on April 30, 2019, succeeded by his son Crown Prince Naruhito, bringing Japan's 30-year Heisei era  to a close. For Japanese people, 2018 was the year of Heisei saigo (平成最後), “the last time we'll do this in the Heisei era” — especially year-end New Year's events. The Emperor made his final public address of 2018 on his birthday, December 23, where he reflected on his hopes for peace for Japan in the future. He also remarked on the price Okinawa people continued to pay in 2018 for the disastrous Pacific War that ended in defeat in 1945, a common theme  of his 30-year long reign. Today (December 23, 2018) is Emperor Akihito's 85th birthday. This will be his last birthday as Emperor of Japan. ‘I would like to thank from the bottom of my heart the many people who accepted and continued to support me,’ stated the Emperor in a teary voice, who then continued his birthday greeting by expressing hopes for peace (in the future). 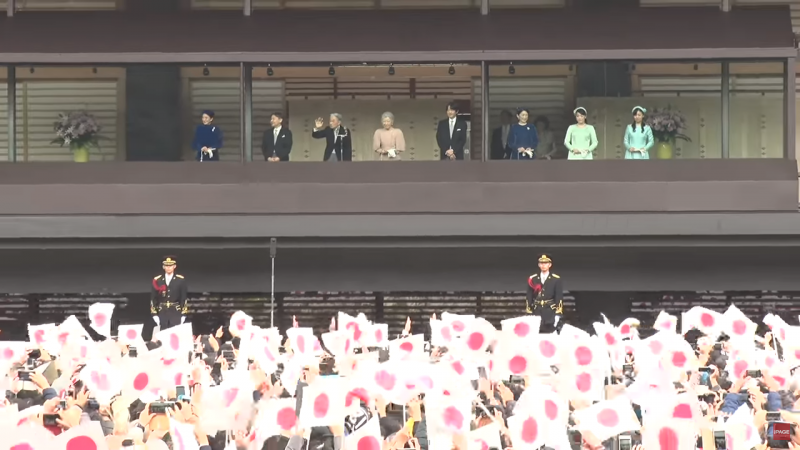 “It gives me deep comfort that the Heisei Era is coming to an end, free of war in Japan,” the Emperor said  in his remarks. It is important not to forget that countless lives were lost in the second world war and that the peace and prosperity of postwar Japan was built upon the numerous sacrifices and tireless efforts made by the Japanese people, and to pass on this history accurately to those born after the war. Japan's Heisei era began on January 8, 1989, when Emperor Akihito was officially enthroned the day after the death of his father , Emperor Hirohito, known posthumously in Japan as the Showa Emperor (昭和天皇). Japan's Heisei era is known as a difficult yet peaceful time for the country. The previous Shōwa era  witnessed a criminal regime that led Japan to complete defeat during World War II after experiencing firebombings, atomic attacks, and mass starvation, all followed an economic miracle  and prosperity after the war. In contrast, the Heisei era was peaceful, if sometimes economically troubled following the collapse of the 80's Bubble  economy. To mark the bittersweet end of an era, the Twitter hashtag #Heisei saigo (#平成最後 , roughly, “the last time we'll do this in the Heisei era”, was used throughout 2018. Toward the end of 2018, most people reflected on how December 31st would mark the final New Year's Eve, one of the most important holidays of the year in Japan — New Year's celebrations last from December 31 to January 3. The country shuts down as families return to the family home from the bigger cities to spend time with relatives. For many, the month of December means frantic attempts to get ready for the holiday by cooking, cleaning and getting everything squared away by December 31 to make a clean start to the New Year on January 1.
only 6 days this year. #平成最後の大掃除  (last cleaning in the Heisei period) is trending. it means last checking of to-dos for 2018 and asks “tell us what u don't wanna leave undone or what u wanna get done”. i wanna eat yakiniku at least 1 more time. morning. it's Dec 26 (Wed). Today (December 31, 2018) is the final day of 2018. It is also the final Omisoka (New Year's Eve) of the Heisei era. The Chinese characters for misoka were originally written as “三十日” (mi-so-ka, 3-10-day), but it actually has nothing to do with the date, and simply means it's the end of the month. Once the cleaning and cooking are complete and relatives arrive, many families spend New Year's Eve watching the annual Red and White Song Competition  (紅白歌合戦), known as the Kohaku. While the popularity of the program has waned in recent years, the final Kohaku broadcast of the Heisei period persuaded stars such as Keisuke Kuwata , frontman of Boomer-era mega group Southern All Stars, who normally holds his own New Year's Eve concert in Yokohama, to appear on the show. During the Kohaku, Kuwata Keisuke of the Southern All Stars sings a duet with Matsutoya Yumi.